Before we can understand why 13 may be considered an unlucky number we should become familiar with the human brain. For example it is believed that during the 1500â? ?s it was common practice to only bathe once a year. That may seem silly or untrue to you, and it is actually hard to prove this. On the other hand consider that recently Jenny McCarthy thought vaccines gave her son autism. Then she thought she cured her sonâ? ?s autism through detox and dieting. What Iâ? ?m trying to say is that humans can sometimes come up with silly ideas and if enough people believe something it will eventually become a fact.Â Such as the general belief that ChineseÂ citizensÂ can help their economy by smoking more. Some medical workers from China even believe you will get cancer if you stop smoking. Although no one can really say when humans started associating 13 with misfortune, the superstition is very old. One of the oldest religions, Zoroastrianism, considered number 13 sinister and wicked. The Last Supper had 13 people at the meal. Legend has it that if 13 people sit down for dinner together, one will die within the year. This comes from Norse mythology, where twelve gods were invited to a banquet at Valhalla. Loki, the Evil One, god of mischief, crashed the part and made everyone upset with each other. He offered a spear of mistletoe to Hod which was hurled at Balder, killing him instantly. Jesus was also betrayed by a guest at the Last Supper. Egyptians believed that life unfolded in twelve stages, and that afterlife was the thirteenth. Some years also contain 13 full moons instead of twelve which posed problems for monks and observers. Also in a Pentagram with a circle ratio of 13, each arm of the star will equal 12.36; the number of lunar months, days, and hours in a solar year. Add the arms together and you get the number of full moons in 5 years. It also doesnâ? ?t help that Apollo 13 was the only unsuccessful mission by the United States of America intended to land humans on the moon. 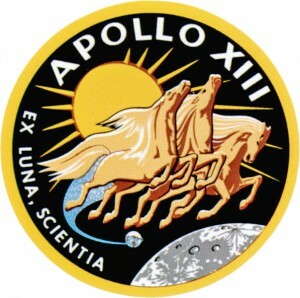 The rocket launched on April 11, 1970 at 13:13 CST. An oxygen tank exploded on April 13, 1970. It is also believed that if you have 13 letters in your name you will have the devilâ? ?s luck. Jack the Ripper, Charles Manson, Jeffrey, Dahmer, Theodore Bundy, and Albert De Salvo. The fear of the number 13 is called Triskaidekaphobia; although in other cultures 13 isnâ? ?t a problem number. In Japan for example the number 4 and 9 are not liked because they have the same pronunciation as death and agony. There are many hospitals in Japan that donâ? 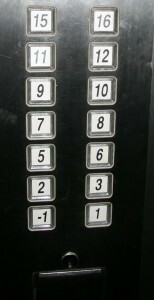 ?t have these numbers or floor number. There are also no seats with numbers 4,9 and 13 on passenger planes of All Nippon Airways. No one would want to sit in a plane or room that is pronounced as the words for death or agony. Numbers are infinite and there are also billions of people on earth/trillions of random occurrences. So any poor number sitting on the number line can be subject toÂ superstitions. Prime numbers such as â? ?luckyâ? 7 and â? ?unluckyâ? 13 are easy to be targeted because of their prime nature. We have two legs, two arms, eyes, etc. Prime numbers just donâ? ?t make sense and they were often interesting to early people. Naturally over time these numbers got more and more bad raps. Itâ? ?s easier not to sit in seat 13 on a plane and have peace of mind rather than sitting there and thinking you might die. Also most people tend to remember negative experiences more. You may have come across the number 13 many times, but the one time you get hurt or something bad happens regarding the number, you are more likely to remember it. Similarly how people don’t leave feedback and reviews for products they were happy with; but if they happen to get a bad experience they are likely to tell the world about it and leave 20 bad reviews. Just for old times sake. In Thailand number nine is considered lucky as ‘Gaow’ translates to ‘stride’, as in striding forward, which gives the impression of progression. The number 7 in Thailand is usually unlucky, although some people love this number. My phone number has five 7s in it as I like this number which is why I chose it. As for the bath thing it’s 50% 50%. No one can really prove it but it makes sense. There isn’t a whole lot of evidence in either directions. At any rate they were probably pretty disgusting. No toilet paper and all…….